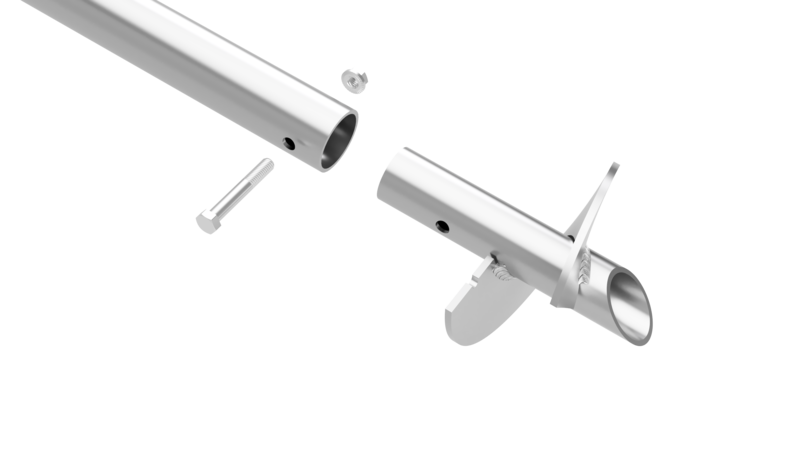 Can be installed with a skid steer and chuck attachment, a single point, or with our fully automated, military grade GPS guided dual anchor driver we are able to drastically reduce project installation times. Our specialized equipment drives two helical anchors (front & rear) in the ground simultaneously, every 45 seconds. The GPS system allows for precision placement and accurate driving depth, taking project quality to the next level. The perfect solution for temperamental soil conditions that most customers run into. 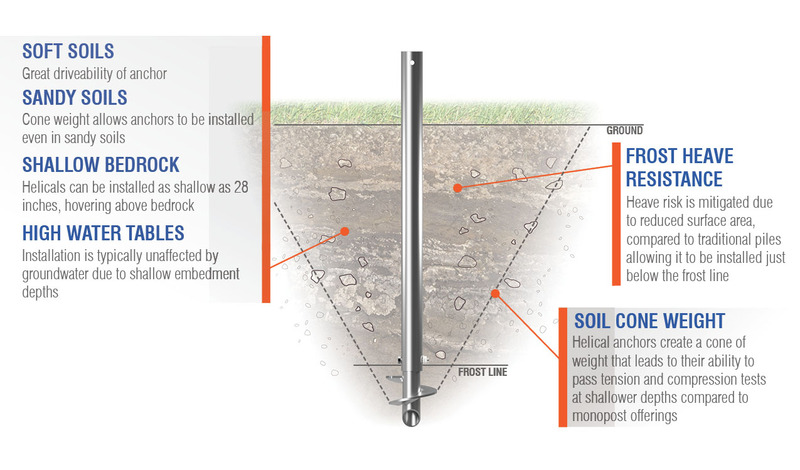 Our proprietary shallow helical anchors allow us to be extremely versatile/flexible in “less than ideal” soil conditions and give us the ability to quote with foundation costs at 95% accuracy. 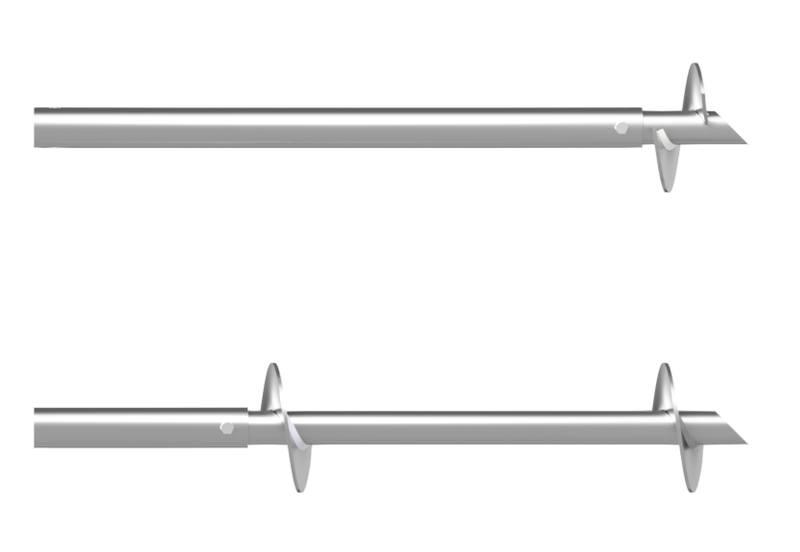 We customize the size and embedment depth per site-perform onsite anchor testing (load bearing and pullout tests). 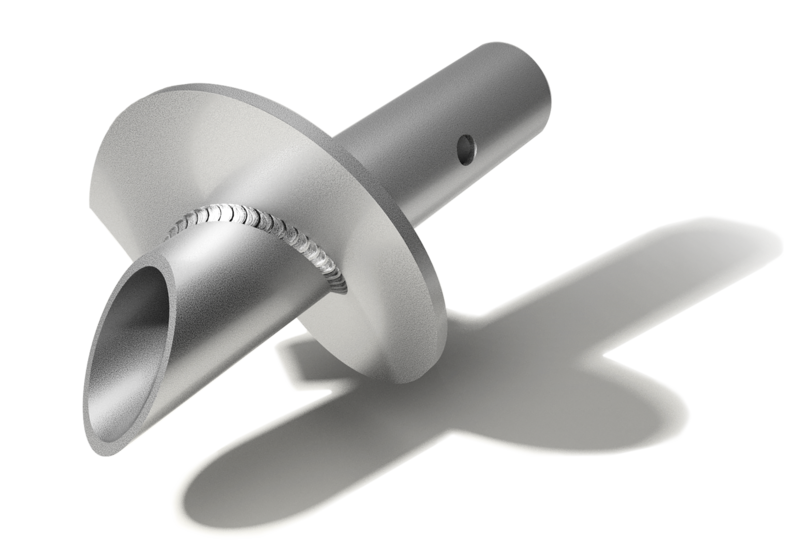 WHAT MAKES THE HELICAL ANCHOR SYSTEM SO SPECIAL? A large helix may seem like the most obvious choice; however, it is more likely to hit obstructions. A helix, well matched to the site will provide the balance of drivability and handling.